Sometimes it’s the most simple things that can have the biggest impact on your child’s learning. 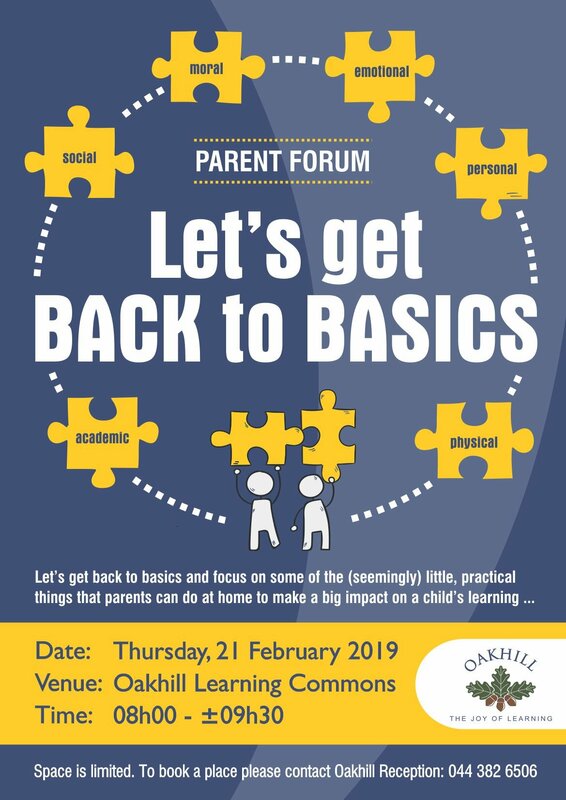 You are invited to a Parent Forum customised for Grade R and Grade 1 parents – Let’s Get Back to Basics. Come and be reminded of some practical tips that can really be empowering for both you and your child. Our team of professional therapists, have collaborated with our Foundation Phase Teachers, to highlight some of the important ways you can support your child in their early learning journey. We look forward to connecting with you over a cup of coffee on Thursday, 21st February at 08h00 in the Learning Commons. Please book with Heather at reception. You are also invited to bring friends from other schools along!